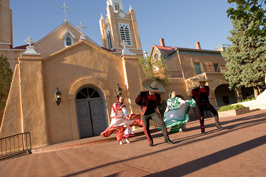 Take your love to Albuquerque and enjoy the romance of beautiful sunsets, open air, and the feel of the old West. 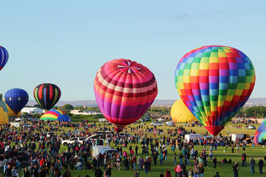 There is always something to do, from trips to the museums, concerts, hot air balloon rides and more. 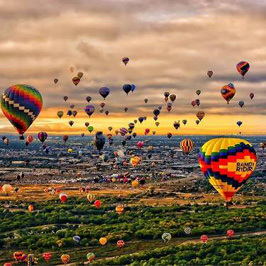 Let yourself get swept away. 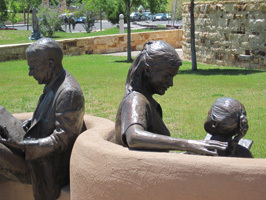 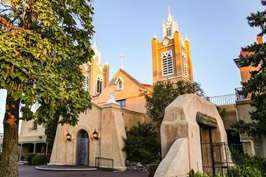 “Don’t just visit Albuquerque, Experience Albuquerque! 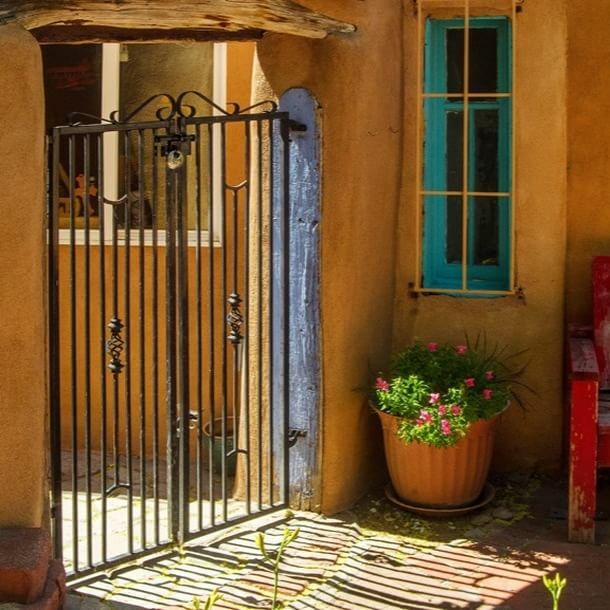 Walk through the gates of this secluded, adobe style compound, and discover the magic of Casas de Suenos. 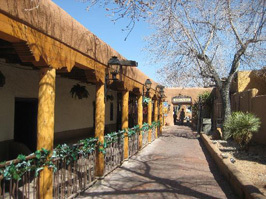 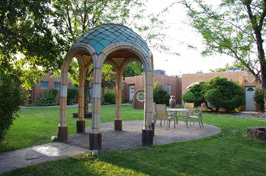 Built in 1938, The Casas de Suenos Old Town Historic Inn features 21 spacious casitas, hot tub suites, glowing fireplaces, soft adobe walls, hidden courtyards, inviting patios and beautiful gardens that accentuate our Albuquerque Bed and Breakfast.” The Inn is a great place to soak in history and have a relaxing romantic evening with your love. 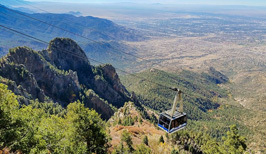 There are many ways to get around Albuquerque and see the sights. 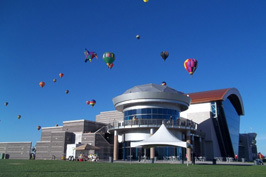 Bike tours, walking tours, segway tours, jeep tours and more… A few of my favorites and probably the most romantic of the bunch are the tramway tours, the hot air balloon tours and the Duke City Peddler. 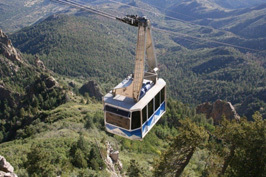 If you opt for the tramway, get ready to go up into the mountains and get a beautiful aerial view of the city. 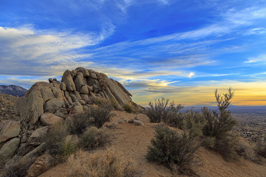 While you are up there, if you visit in the winter, you can get some skiing in with your loved one. 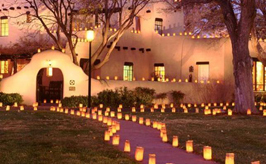 For a tour that is a little more offbeat and less romantic, but sure to give you a reason to snuggle closely to your sweetheart, try a ghost tour about the city. 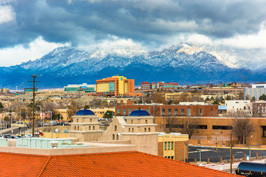 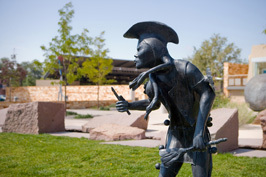 “Consistently ranked as a top arts destination, Albuquerque offers an abundance of artistry of all forms, from visual arts to theatrical performances and from traditional to contemporary.” There really is something for everyone in this city. 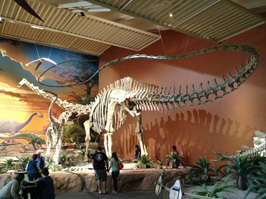 If you want to go to museums, there are many to choose from. 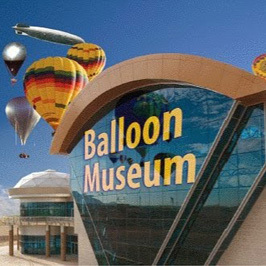 I suggest a trip to the Hot Air Balloon Museum and the Fine Arts museum. 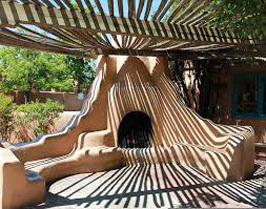 If getting out into the open air and communing with nature is your thing as a couple, visit the Bio Park and the Elena Gallegos Open Space. 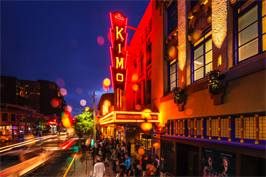 If going to the theater is your idea of enchanting, then visit the historic Kimo Theater. 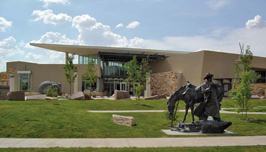 If none of that sounds like a romantic evening for two to you, then you can always try the New Mexico Philharmonic and listen to some great music. 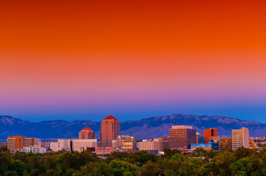 Albuquerque, NM is home to a minor league baseball team called the Isotopes. 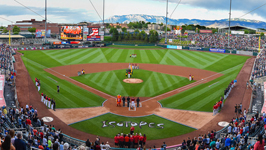 They play in Isotopes stadium. 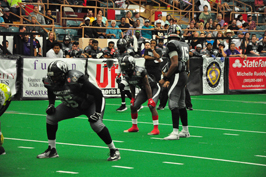 Beyond a minor league baseball team, Albuquerque is also home to a professional indoor football team called the Duke City Gladiators. 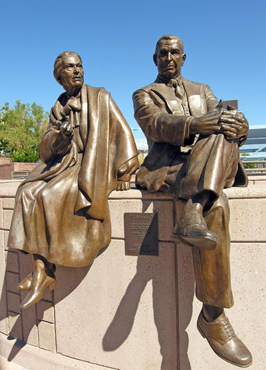 Be sure to take your love out to the ballpark and share some popcorn while you are at it.